Are you looking to cut down on your company’s waste? If so, choose the best waste disposal Southampton has seen by calling GHS Recycling today Our dedicated team take a practical approach that is guaranteed to reduce your businesses carbon footprint. When it comes to managing your office waste, it can often be difficult knowing how to approach the situation. That’s why choosing GHS Recycling for your waste disposal in Southampton is the best decision you’ll ever make. With years of experience in providing cost-effective services, our team will help you reduce your waste volumes and disposal costs in no time at all. We’ll work alongside you from start-to-finish to ensure that all your waste and recycling needs are met. Whether you operate out of a small office, large office block or several locations, we can help with solutions tailored to your needs and budget. You can learn more about the finest waste disposal Southampton has to offer by reading below. By using our Southampton waste disposal services to recycle this waste, raw materials can be created. This will, in turn, be used to create new products as well as jobs in collection, processing and manufacturing. We even work closely with another company to assist in disposing of computer equipment and obsolete machines under the WEEE scheme. 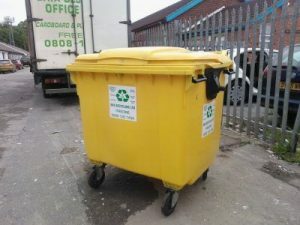 On top of this, our waste disposal Southampton company can also carry out recycling audits, supply Waste Transfer Notes and provide recycling bins and plastic bags. When you choose GHS Recycling, you’ll discover a great way to reduce your operating costs while gradually moving towards a recycling scheme. As the most reliable choice for waste disposal Southampton has experienced, we demonstrate practical options and devise solutions that create tangible improvements. Through continuous support, we aim to identify your requirements and maximise the re-use and recovery rate of your business. For plastic, our processing plant possesses the equipment necessary to micronise, granulate, compound and bale all plastic waste. We can provide our waste disposal Southampton services on an ‘as and when’ basis or as part of an on-going contract. If you require Southampton waste disposal services and have any questions that you’d like to put to us, please do get in touch. What makes us the best choice for waste disposal Southampton has seen? When it comes to waste disposal in Southampton, it’s important that every company, every individual does their part for the environment. With more and more pressure being exerted on businesses to change their approach to waste disposal, there has never been a better time to make a change. Here at GHS Recycling, our independent, family-run company has for over 30 years provided competitive waste disposal solutions for many clients. From confidential data destruction to waste management and recycling, our Southampton waste disposal team provide these services on a regular or one-off basis. Thanks to our large fleet of well-maintained lorries, we can provide recycling and waste disposal in Southampton for small businesses and organisations. 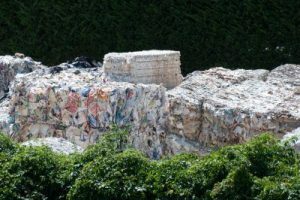 We also help to monitor recycling targets as well as check materials for contamination before processing and shipping to various companies in the UK for re-use abroad. Such is our commitment to the environment and to saving you money that we supply these services at the most affordable price around. For all your waste disposal needs, look no further than GHS Recycling.